After trying some Old English lettering on my Pick and Mix Mani I really wanted to give it another go. I chose Barry M - Peach Melba as a base as it's a gorgeous colour and I haven't used it for ages. It's a summery shade but not too bright so thought I'd be able to get away with in winter. For the lettering a used a Barry M nail art pen once the base layers were fully dry. I've discovered that you can't use these pens easily if the varnish hasn't set completely as they can indent or ripple it. I found it a bit tricky to make sure all the letters were the same size as my nails are not very uniform in shape of size! My typing fingers seem to be particularly stunted. I was happy overall but definitely need more practice at lettering, think it could do with neatening up a bit. 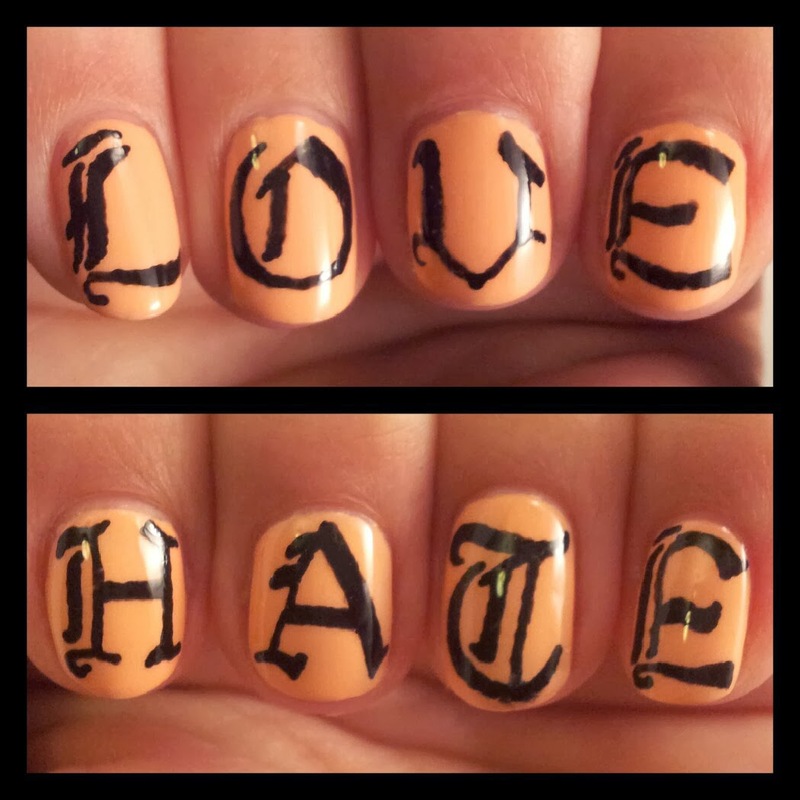 The Old English style is fun to do, and it's simple enough to achieve with nail pens. Not sure what font to try next!